the promise to share magical moments together as a family. All parents are keeping special objects of their children with the aim to hand these down to them one day: hospital name bracelet, first clothes, comforter, first drawings, school books etc. 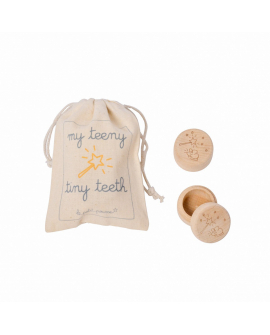 Le Petit Pousse has developed unique gift ideas for babies and children to support all the families who wish to gather and preserve these meaningful treasures. What’s the concept? A baby chest called “la bebeotheque”. It is a beautiful wooden trunk designed to store childhood keepsakes safely and all in one place: a treasure that your child will be delighted to rediscover year after year. 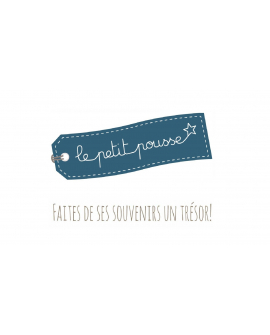 Le Petit Pousse is the story of two French mums, Séverine and Emmanuelle, who decided in 2016 to use their creativity to help parents and relatives to find extraordinary presents for children and babies. "When my son was born, I have started looking for a nice chest to gather all his baby's souvenirs. Then my daughter gave its name to « la bebeotheque », this magical place where she could find all these objects from her childhood"